/ Oscillating Tool vs Rotary Tool: Which is the Best Oscillating Tool? When you first begin building your own toolkit, one of the most difficult decisions you’ll be faced with is choosing between an oscillating tool vs. rotary tool. What is a Rotary Tool? Where Can I Find Oscillating and Rotary Tools? While it might seem overwhelming at first, especially if you don’t have prior experience using either tool, the differences between the two are quite simple to understand. What makes oscillating and rotary tools so interesting is that they essentially do the exact same things, just in a strikingly different way. Before you invest your hard-earned money in tools that you may or may not need, it’s best to learn the ins and outs of what they do and how they do it. Below are some interesting comparisons between oscillating and rotary tools. There are a wide variety of functions that a rotary tool can do including grinding, sanding and cutting tiles and other materials. At the tip of the tool, there will be a place for an attachment or accessory, such as a grinding bit or a sanding bit, and this piece will spin incredibly quickly. Rotary tools are known for being incredibly precise although you’ll be responsible for holding it in your hands, meaning you will determine its accuracy. Wide Array of Tasks: It’s easy to understand that a rotary tool is far more advanced than an oscillating tool simply because it can tackle many more projects than its counterpart. Aside from the tasks that the two tools share, a rotary tool can also clean, polish, rout and carve a wide variety of different materials. 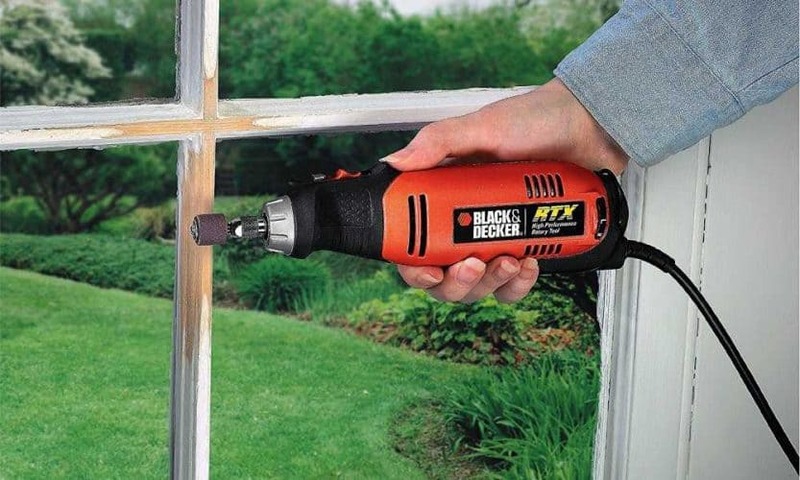 Inexpensive Accessories: If there’s one thing that can be said about an oscillating tool it’s that its accessories/attachments are incredibly expensive, especially if you’re trying to perform a special function. With a rotary tool, however, you have the option to choose from dozens of different attachments that are far more affordable. Ability to Etch: Although this might not be a task that you’ll need to perform on a daily basis, a rotary tool is far more beneficial than an oscillating tool because it gives you the opportunity to do fine precision work such as etching. No matter whether you want to custom-engrave a present for a friend or family member or want to mark ownership on a hard material, the options are endless. All you’ll need to do is invest in a diamond tip etching tool and you’ll be able to penetrate any surface. Ready to get a Rotary Tool? If you don't feel like doing the research, we recommend the Dremel 4000. It's a highly reviewed tool with all the accessories you will need for most projects and backed by a solid brand for rotary tools. This device can be incredibly useful for a wide variety of purposes. The first thing to remember is that when it comes to large-scale industrial projects, an oscillating tool might be far more advantageous than a rotary tool simply because it’s designed to make larger projects much simpler and faster to complete. Oscillating tools are designed to move back and forth rapidly, unlike a rotary tool which spins very quickly. Despite the differences in design, the two tools can handle most of the same tasks. However, an oscillating tool might be preferable for grinding, sanding and cutting larger pieces of material. Less Dust: One of the largest advantages to using an oscillating tool for big projects is that you will see a substantial reduction in the production of dust. This is because the attachments are bigger, meaning it’s easier for them to work through materials in comparison to the attachments on a rotary tool. The faster the accessory has to move, the more dust it’s going to produce and this is especially true when you’re working with wood. Accurate Cuts: As an oscillating tool is substantially larger than a rotary tool, you can guarantee that it will give you more accurate cuts than if you were to rely on the smaller model. Although a rotary tool is great for getting into tight spaces and delicate work, an oscillating tool is more reliable if you’re aiming for accurate precision. User-Friendly: Due to its size and how simple it is to make straight cuts and how time-efficient it would be to sand large materials, an oscillating tool is substantially more beneficial for first-time users or beginners to the carpentry industry. Remember, these tools are specifically designed to tackle large projects, which makes them ideal for beginners. Ready to get an Oscillating Tool? 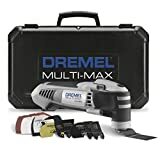 Our top recommendation is the Dremel Multi-Max. 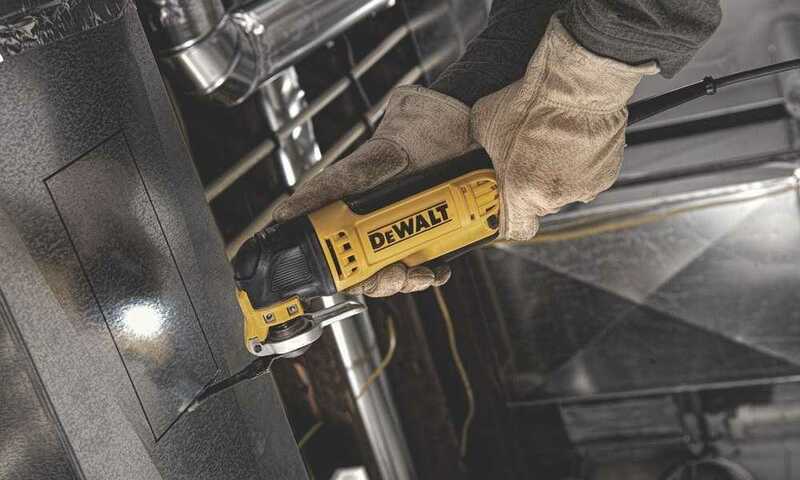 We've reviewed a number of Oscillating Tools and this one bubbles to the top of our list if your budget allows for it. Luckily, finding either tool is as simple as taking a trip to your local hardware store or doing some online research. You can see our jump over to this post for reviews and comparison of Oscillating tools. We haven't put together a Rotary tool comparison yet but we'll be working on that soon. In the meantime, here's a link to get you started. Hopefully the above information has equipped you for your hunt for an oscillating or rotary tool. Still can't decide which to buy? Check out this conversation on specific use cases for each tool and why you might want both. With plenty of functions to use to your advantage, these tools will no doubt be useful in establishing a versatile woodworking kit. This is a great rundown. If I have to pick one of these which would you recommend? Hi Jim, Thanks for reading. It’s a really tough question as I have and use both of these tools. I think it depends on what type of projects you’ll be doing. If you’re focus is more on woodworking projects and furniture I would probably suggest the rotary tool. I have the dremel 4000 referenced above and find it useful for those types of projects. If you are doing more rough carpentry, renovation type work then maybe the oscillating tool. I am currently finishing my basement and find that I’m using my oscillating tool a bit more. Personally, I tend to buy tools on a project basis as I need them. So, if you are working on a specific project determine the best tool for that one and buy it. Don’t look back. Then when you are on a new project perhaps you’ll be able to justify the second tool to round out your workshop. what would you suggest is better for grout removal? Laura, I’d definitely recommend a an oscillating tool for grout removal. You can get a grout removal blade attachment like this one: https://amzn.to/2HYligM that will make the job pretty easy. Be sure to get the right blade thickness as they offer them in different thicknesses 1/16, 1/8, etc. depending on the tile spacing you are removing the grout from.